Congratulations to our wonderful Kansas City park design team! 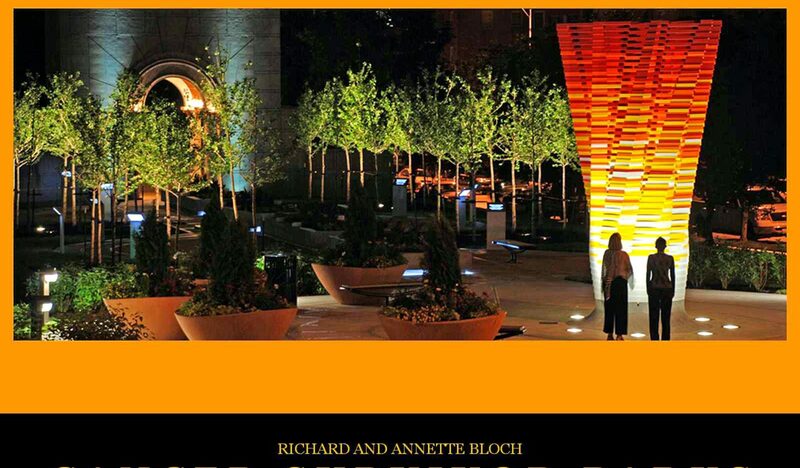 The recently renovated Richard and Annette Bloch Cancer Survivors Park, located at Kansas City’s Country Club Plaza, was recently awarded a Merit Award for Design (Built) by the Central States Region of the American Society of Landscape Architects. The redesign effort was lead by Confluence (formerly Brian Clark + Associates) with support from a design team comprised of WSKF Architects, Hoss and Brown Engineers, Cook Flatt and Strobel Engineers and artists Carolyn Payne and Phillip K Smith III. 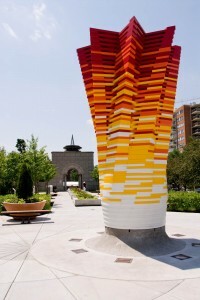 The redesign was a three-fold concept: to create an open, inviting space that reflects the Bloch Cancer Foundation’s original intent to serve as a living tribute to cancer survival; to communicate a renewed sense of hope; and to reestablish the park’s presence as an iconic and memorable gateway to the Country Club Plaza District. Quite often trying to rework part of an established design is not successful, but the design team’s approach worked beautifully.